WP e-Commerce (WordPress e-Commerce): WordPress is a free, open-source web-based software program that can use to build and maintain a website or blog. There are many plugins available that make WordPress even more resourceful application for businesses. WP e-Commerce is one of the most popular shopping cart plugins for WordPress. This plugin is fully-featured shopping cart application and perfect for selling products and services, or collecting payments and fees online. The WP e-Commerce plugin is easy to be used with trusted payment processors like Google Checkout, PayPal, Authorize.net and Payment Express. This e-Commerce plugin provides easy acceptance of online payments and you can sell products, services and fees online. The plugin seamlessly integrates with WordPress Update System. Whenever you upload a new product, the world knows about it. 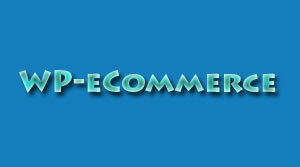 WP e-Commerce plugin is one of the most commonly used shopping cart system across the world.